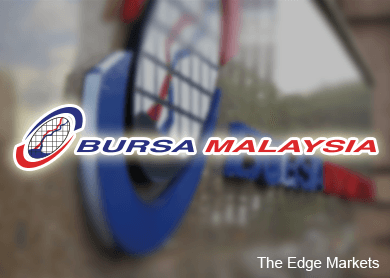 BURSA MALAYSIA BHD ended on a high note last year. It rewarded its shareholders with a record high dividend of 54 sen per share, translating into a handsome dividend yield of 6.7%. Bursa (fundamental: 2.3; valuation: 1.7) has seen its share price climb steadily since late 2013. The meltdown in the share prices of oil and gas companies did not dampen interest in Bursa’s shares — they are still moving higher. Closing at RM8.65 last Thursday, they are currently hovering near a 3½-year high. Besides being a good proxy for investor interest in the local stock exchange, Bursa’s regular dividend payments have increased the appeal of its shares. In the past five years, the company has declared dividend per share of no less than 20 sen. However, the slowdown in initial public offering (IPO) activity raises concerns about the vibrancy of the local bourse, which may affect Bursa’s earnings and, in turn, its dividend payments. There were no IPOs in the first quarter of this year. Bioalpha Holdings Bhd, scheduled to be listed on April 14, will be the first new listing on the local exchange this year. Meanwhile, there have been three privatisation exercises since the start of the year. Two large IPOs, Malakoff Corp Bhd and 1Malaysia Development Bhd’s Edra Global Energy Bhd, are expected this year. In the first quarter of last year, there were three IPOs, including IOI Properties Group Bhd. The property developer was the first and the largest IPO in 2014, raising RM1.9 billion. There were 14 IPOs in total last year, raising a combined RM5.9 billion — 28% lower than the RM8.2 billion raised in 2013. The number of public listed companies on the local bourse has been on a downward trend. From 957 companies in 2010, it shrank to 906 last year. Similarly, the number of new listings have decreased — there were 29 new listings in 2010 compared with 28 in 2011, 17 in 2012, 18 in 2013 and 14 in 2014. In contrast, the total funds raised rose to RM24.3 billion in 2014 from RM22.5 billion in 2013. A total of RM32 billion was raised in 2012 compared with RM15 billion in 2011 and RM33 billion in 2010. Bursa is not the only stock exchange that is seeing a slowdown in IPO exercises this year. As at end-March, Singapore only had one IPO listing. Meanwhile, the Stock Exchange of Thailand saw five listings in the first quarter of this year while the Indonesia Stock Exchange had two. “From a capital markets’ perspective, the macro outlook is still quite challenging. There is always a time lag before deals start flowing into the market. We won’t be seeing many large deals coming out,” says a senior executive at an investment bank. He explains that while some of the government-linked infrastructure companies and agencies will tap the bond market, subcontractors and core construction players will likely raise fresh capital through rights or capital placements. “There will still be some activities but it will not be the same influx that we saw a few years ago,” says the executive. Nonetheless, an analyst covering Bursa’s shares believes that the number of listings could increase. “But if they don’t, I do not expect (Bursa’s) earnings to come off that much as any drop in revenue could be offset by cost measures. They have always talked about cutting cost and being more efficient. Dividend yields shouldn’t be impacted much as they have been paying special dividends … Bursa still has a lot of cash,” says the analyst. As at Dec 31, 2014, the company had RM214 million in cash. It started paying special dividends in 2013. Its cost-to-income ratio improved to 46.1% in 2014 compared with 48.3% in 2013 and 49.3% in 2012. The analyst, however, notes that trading volume for the first three months of the year has been flat year on year. According to data on Bursa’s website, the average trading value for the first quarter was RM2.17 billion while for the same period last year, it was RM2.16 billion. “At best, we think its first quarter earnings for the year will be flat on a year-on-year basis. Last year, it made a net profit of RM45 million,” says the analyst. Maybank Investment Bank Research has forecast a 97% dividend payout ratio. “There is room for further capital management. We would not be surprised if another special dividend comes in this year. Its high yields should cushion any downside to its share price from ongoing volatilities,” it says in a report dated Jan 30. Meanwhile, AmResearch expects softer trading volumes in 2015, especially in the first half of the year, in view of investors’ heightened risk aversion amid the current market uncertainties and the implementation of the Goods and Services Tax in April. “While the pipeline of IPOs this year looks promising (in value terms), we caution that excessive market volatility may result in some listings being deferred. We also highlight that in 2012, when a similar amount (about RM30 billion) was raised, ADTV (average daily trading volume) declined by 7% y-o-y. That said, we believe that volumes will be well supported moving into 2H as cashed-up domestic institutional funds (42% of total value traded) return to the market,” says AmResearch in a report dated Jan 30.